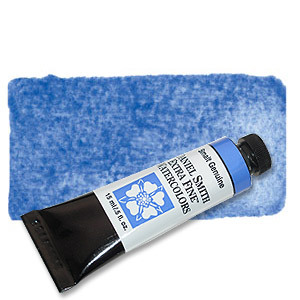 Daniel Smith Watercolours Available now in the UK. | Daniel Smith Watercolours Available now in the UK. Artist Dan Smith, started his business in 1976 with the objective of bringing the highest quality inks to the print-artist community. Building on this earlier success Dan then set out to create a range of Artist quality watercolours with one goal in mind: to bring the watercolour artist the very best product available. However not only did he aspire to bring artists the best quality, he also wanted to be innovative and bring something new to the table. His dream came to fruition with the introduction of a hugely innovative American-made collection of paints that just happened to change the world of watercolours forever. You too can now experience and enjoy these wonderful Watercolours right here from a UK supplier. Daniel Smith was the first to offer Quinacridone pigments in artists’ paints. These fantastic, powerful colours, originally created for the car industry, give artists new and vibrant choices perfect for glazing. Today there is more than 200 colours in the range! The sheer range of possibility they offer is endless and unparalleled in the industry. The amazing selection spans the spectrum from the historical, to natural earth and PrimaTek™ Colours, to the brightest, boldest colours modern technology has to offer. The sheer amount of pigment packed into each tube is exceptional, as is their policy of providing complete product information on each label.